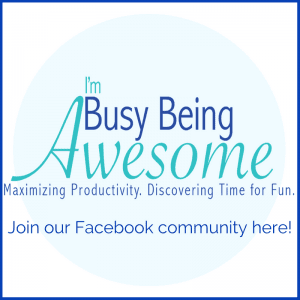 Okay, you busy-awesome readers, today we’re going to talk about personal goals. 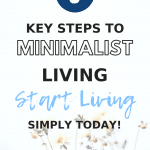 This topic has been on my mind for a while now, and I’m excited to start exploring it with you. To avoid writing a ridiculously long 5,000-word post, however, I’ve decided to break up my thoughts into a series all about setting, pursuing, and achieving our personal goals. 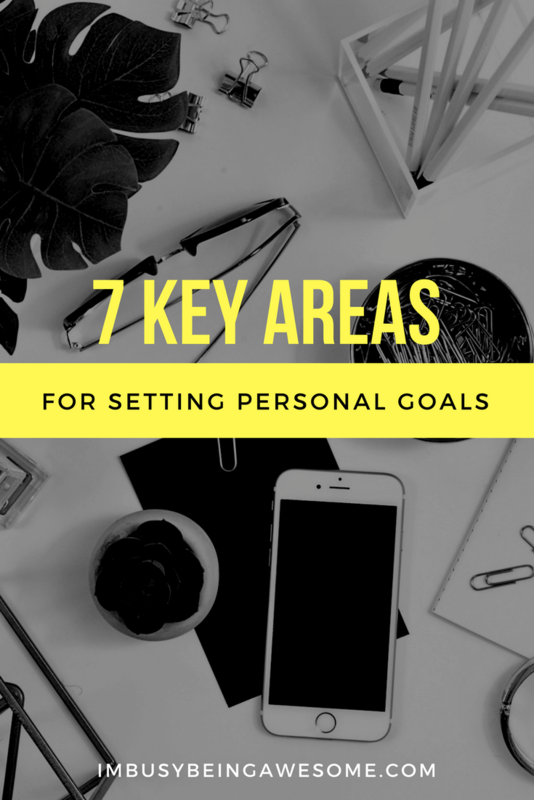 So to kick off our series today, I’d like to step back and take a broad look at the top 7 areas for setting personal goals. 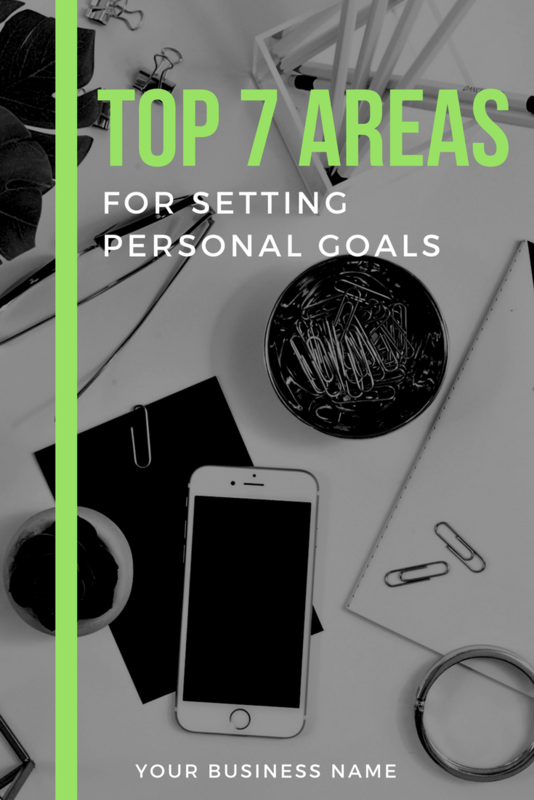 Doing so will help us highlight sections in our lives on which we’d like to focus, and it will prepare us for the next post in the series all about setting specific, attainable, personal goals. Are you ready for this? Great! Then let’s begin. In my post about how to find a career you love, I mentioned the importance of highlighting your priorities. Please note that your is the important word here. 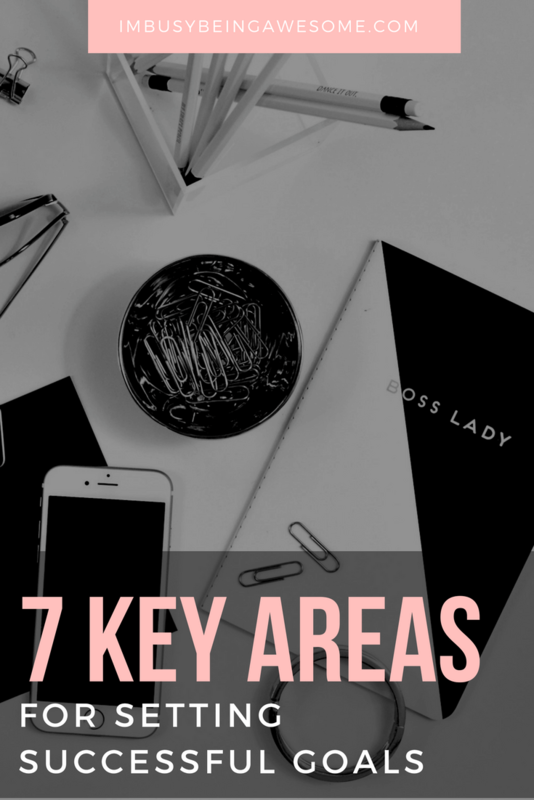 Highlighting your own career goals can be a challenging task, as it’s often tempting (and occasionally easier) to simply adopt the priorities of those around you. For example, if everyone in your field wants the corner office, it’s easy to assume you should want that, too. Is it your personal goal to have a managerial position before the end of the year? Are you going to finish next week’s project before the deadline? Is it your goal to leave corporate America and enter the world of entrepreneurship by 2019? By outlining our specific career goals, we’re not only more likely to achieve them, but we also reduce the risk of boredom and complacency by continually striving for bigger and better things. With my love of all things artistic, it probably doesn’t come as a surprise that creative goals made it on this list. As I’ve mentioned in earlier posts, being creative is not only good for your health, but it also allows room for growth, expression, and self-discovery. So whether your goals are long-term (writing your first novel) or short-term (completing your wedding scrapbook), working toward creative expression is an important goal for each of us. Acting creatively helps improve our mental and physical health. What’s more, it keeps our minds fresh by thinking in innovative ways. Many of us are inspired by curiosity. We’re interested in learning more about ourselves, our family, our community, and our world. We are driven by the desire to learn a new skill or improve on a technique. 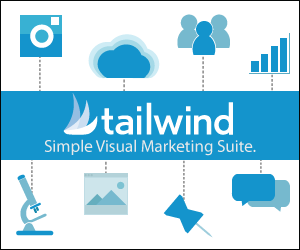 Learning is what keeps our minds sharp, our engagement up, and our passion strong. So as you consider which goals to set for yourself, keep education in mind. Whether you’re working toward a graduate degree, taking an online driver’s education course, or learning to cook like Gordon Ramsey, the important thing is simply learning, expanding, and trying something new. Do you want to buy a house within the year? Do you need to pay off student debt? Are you trying to stick to a budget so you can save for retirement? Pinpoint those personal goals and write them down. This will act as a gentle reminder not to spend your savings on a new spring wardrobe. Because having adequate finances provides us with additional stability and security, it’s imperative that you have and stick to those financial goals. Health goals – whether physical or mental – are probably something we’re all familiar with. So many of us have goals to get to the gym more often, stick to a certain way of eating, take time to practice meditation and mindfulness, etc. And this makes sense. Exercise releases happy-endorphins (as Elle Woods so clearly explains to us in Legally Blonde), eating whole, healthy foods makes our body feel good, and meditation and mindfulness helps clear out unnecessary brain clutter. So as you consider your list of personal goals, be sure to take some time to think about your health as well. 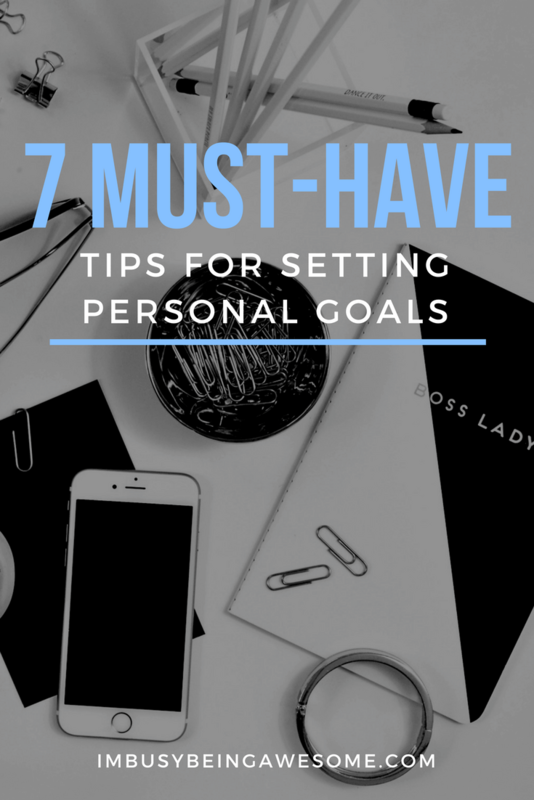 While you might argue that all of the personal goals in this list could fall under the umbrella of personal development, I’m talking about something a bit more specific here. For personal development goals, I mean setting goals that improve your sense of self. 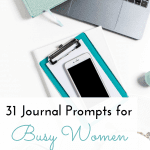 Perhaps it’s your goal to start journaling more often. Maybe it’s your goal to read each night before bed. You might set a personal goal to let go of perfectionism and start embracing what is. Maybe you really want to reduce the physical clutter in your life since outer order brings inner calm. As I’ve mentioned in earlier posts, it is imperative that we take care of ourselves. We need to recharge our batteries on a regular basis, so we can use our energy to tend the needs of others in our lives. If your personal battery is at 0%, so is your ability to help others. So make sure you incorporate personal development and self-care in your life; this is what keeps you going strong and ready to tackle every other goal on your list. In our busy world today, it’s easy to push our relationships to the back burner. But here’s the deal. Science has shown that relationships are one of – if not the – most important component of happiness. And this means that fostering healthy relationships should be at the top of your list. Period. So whether it’s your goal to have a date night with your spouse once a week, go on weekend outings with your kids every Sunday afternoon, or get coffee with a friend on the weekend, make that goal and stick with it. And there you have it, friends. Part 1 of our goal setting series, complete! Are you ready to get started? Great! Download this workbook to help you map out what goals are important to you. And keep this information on hand; we’ll work with it again in part two! Are you a goal setter? What personal goals are you working toward right now? Do you have any favorite tips for sticking with your goals? Let me know below! I need to spend a day and tackle some of these areas! So many areas that goals help us in! I would be so lost without my bullet journal to help track them all. Aren’t bullet journals the absolute BEST? Thank you for this! Setting goals is my goal right now hahaha! But seriously, I have had major anxiety lately and have felt ALL OVER THE PLACE so this list of how to set goals will be helpful! I was actually thinking about financial goals today. We’re getting to a point where we’re not living paycheck to paycheck so we might be able to start saving for fun things! Wow! I first scrolled through this on my phone, and then realized I’d have to take a longer look at it. I read through it again and wrote out my goals as I went! Some of my goals are to save up an emergency fund of 6 months living expenses, read 1 book or more a week, and grow my own blog. Thanks so much for this comment, Colleen. I love hearing about your great goals! Are you reading any good books right now? I’m looking for suggestions 🙂 I just finished Elizabeth Gilbert’s big magic, which I found FANTASTIC (I wrote about it here, if your interested). Yeah, I’m actually reading Simon Sinek’s “Start With Why”; the next one I’m reading is the companion “Find Your Why”. I’ve recently read a couple others: “Deep Work”, by Cal Newport, “Mindset” by Carol Dweck, and “The Subtle Art of Not Giving a F*ck” by Mark Manson. I hadn’t previously thought about setting creative goals. Thanks for the push! I needed this today! I’m in such a fog lately that I need a refresher. I’m pinning this to reread when I need a lift and to focus. 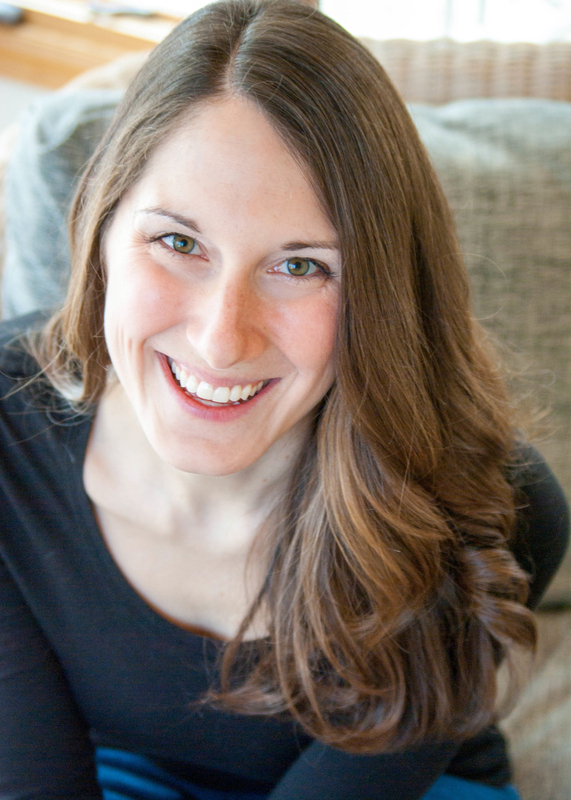 I am a total goal person but like the idea of setting more creative goals, thanks for sharing! I love how you separated everything into different areas! I’m sure that definitely helps to prioritize things better than just lumping everything together. This really hit me. I see that I need to make goals in all aspects of my life. I’ve been a little hyper focused. Such well-rounded categories for goals! Finances especially I feel are so important but not often talked about. Thank you for posting! All of these are great tips! My personal goal this year is to pay off my wedding without any debts before my wedding! Not everyone set goals for all the different areas so this is a wonderful reminder. Take one area at a time but set those goals. Yes, exactly! That’s a great point, Candy. 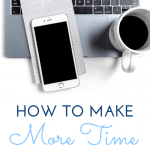 We don’t have to do them all at once, but it’s important to keep them each in mind.